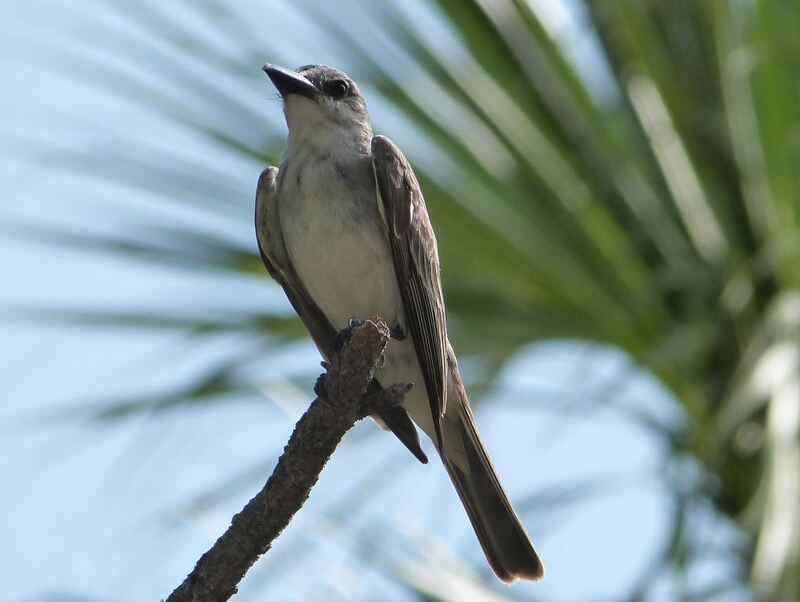 The Gray Kingbird or Grey Kingbird, also known as pitirre, petchary, or White-breasted Kingbird (Tyrannus dominicensis) is a passerine bird. It breeds from the extreme southeast of the United States, mainly in Florida, through Central America, from Cuba to Puerto Rico as well as eastward towards all across the Lesser West Indies, south to Venezuela, Trinidad, Tobago, the Guiana, and Colombia. Northern populations are migratory, wintering on the Caribbean coast of Central America and northern South America. Several vagrant populations are known to exist in the American Northeast.